First blog on the new website & a first blog for me in general. Going to start off with a watch related article, infact i'm going to pose a question. 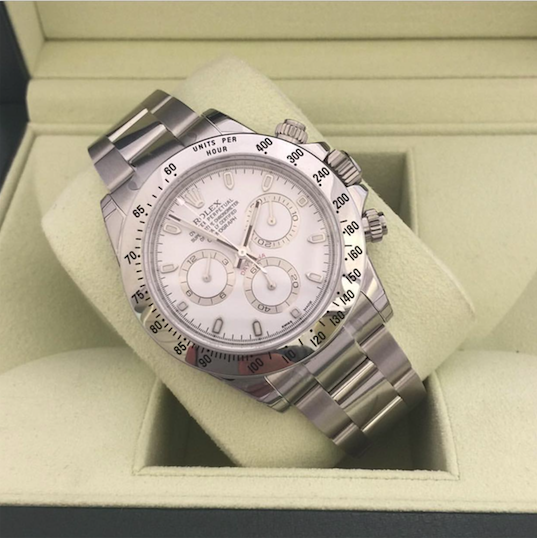 The store has been selling luxury watches for around 7 years now & something i've often wondered is what percentage of Rolex, we'll stick to Rolex's for now, users actually used their specific model for function? As a brand Rolex have models specifically designed for fields such as Diving, Racing & Sailing amongst others. Take this Sea Dweller 4000,(pictured below) for me it's about the look. I have no intentions, nor any need for using any of the watches specific features. For function in this case would you spend £7,600 on a watch for diving? 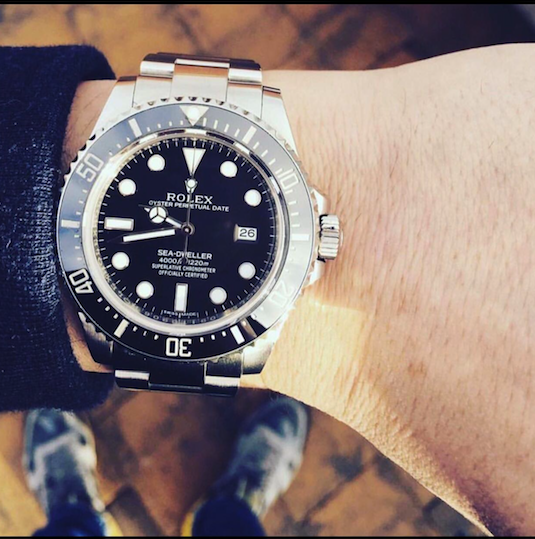 I doubt the people at Rolex will care much for how you decide to use the watch after you've bought it but then who knows. With its chronograph feature used as a stop watch to track individual lap times. Rolex have since discontinued the 116520 making it an even more desirable piece to have in your collection. Now i know more than one person to own the watch however none of them are race car drivers. Which takes us back to my original question, is it Fashion or Function? I could go on... Sailors & the Yacht-Master or the Milgauss used by scientists working near high magnetic field. Now look, i get it, totally i do. The work and expertise that goes into making a luxury watch is amazing take nothing away from the watchmaker & fo, all the watch buffs probably spitting coffee all over work desks and laptops reading this. Im just going to come right out & say it....Despite the function and how intricate they may be i'm going for fashion. It's about how it looks on your wrist not how far under water i can take it. Just my opinion though. Time to pack up. MC.